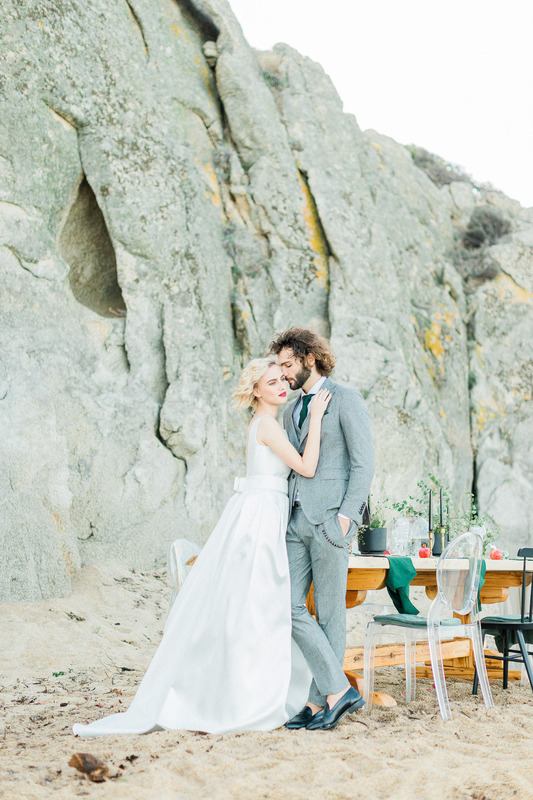 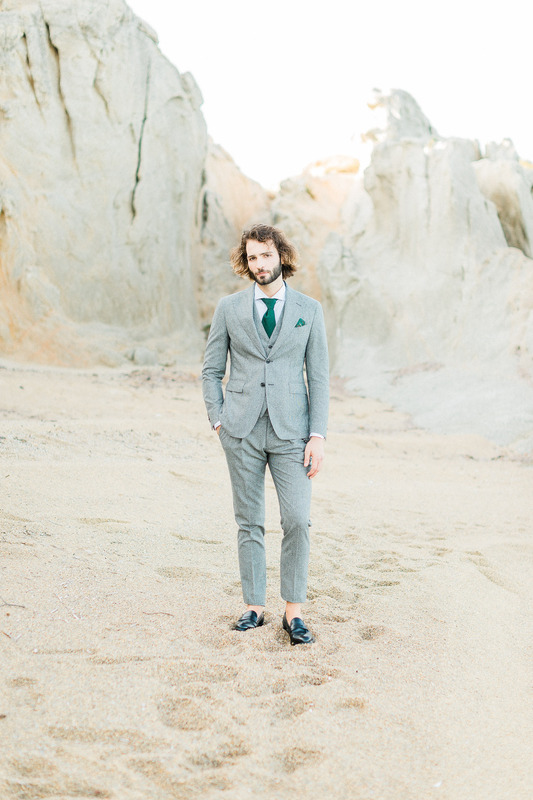 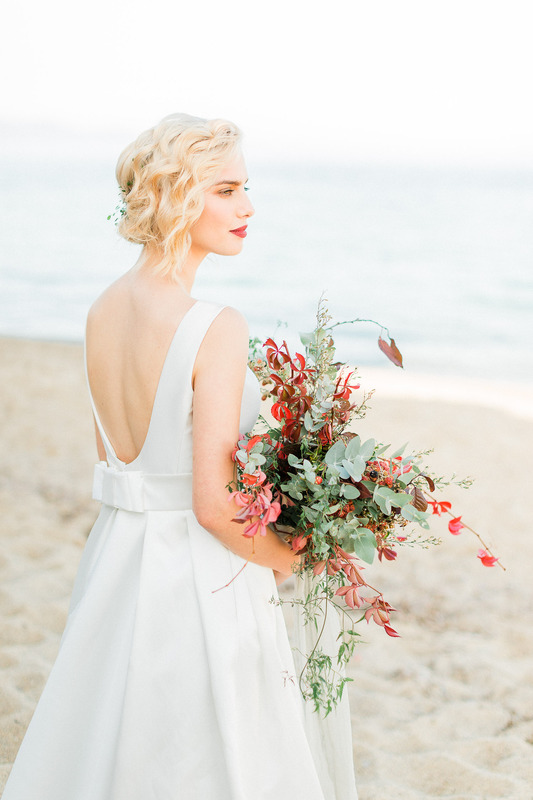 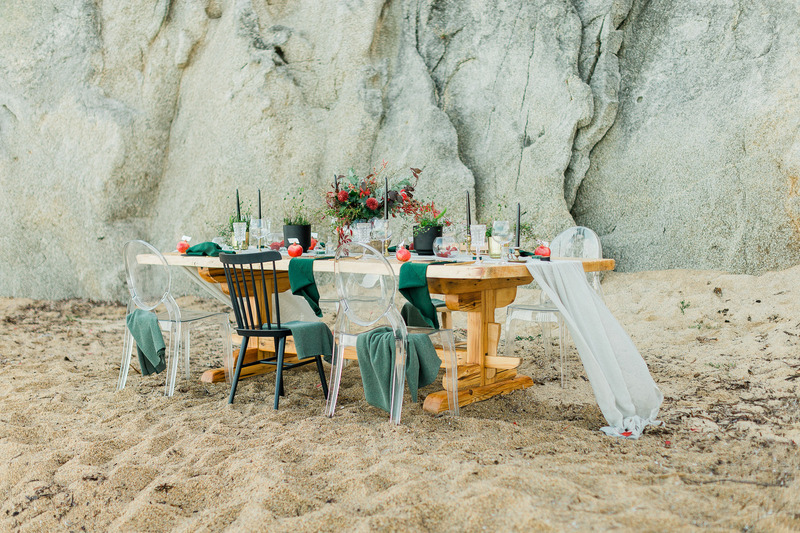 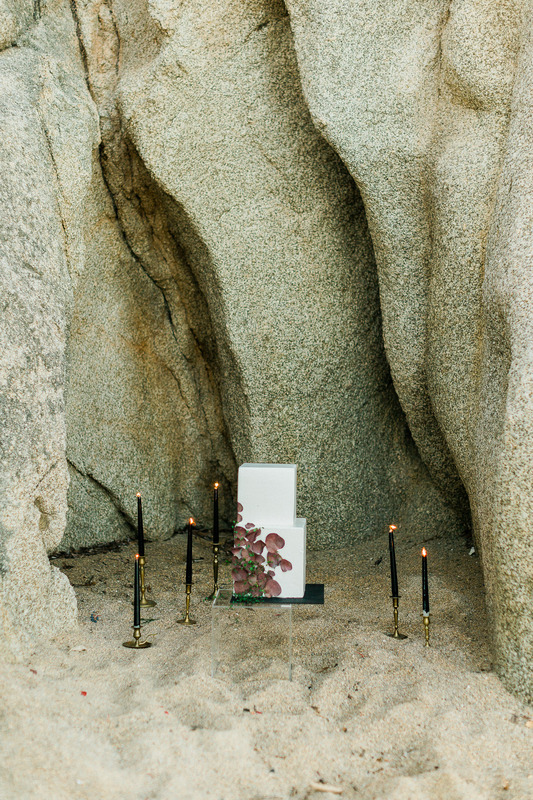 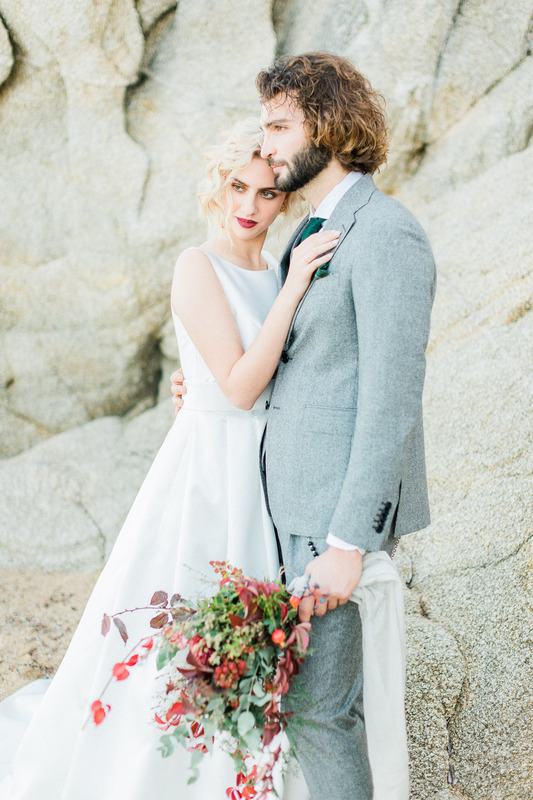 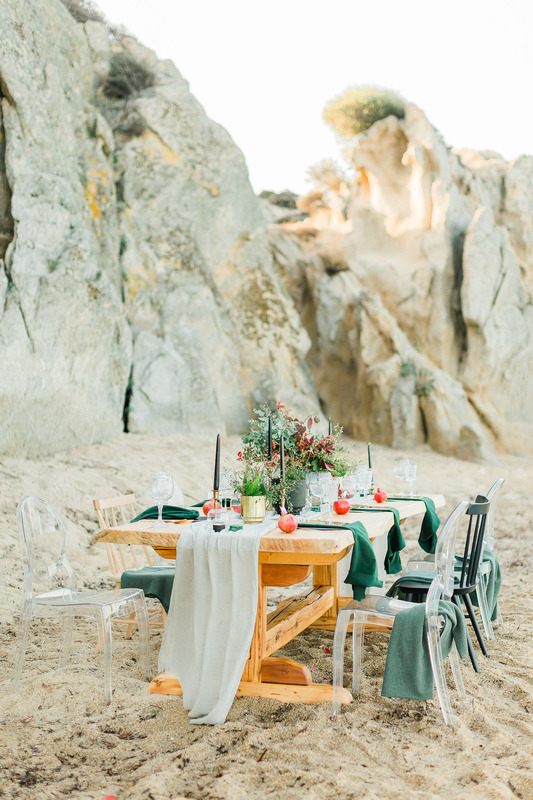 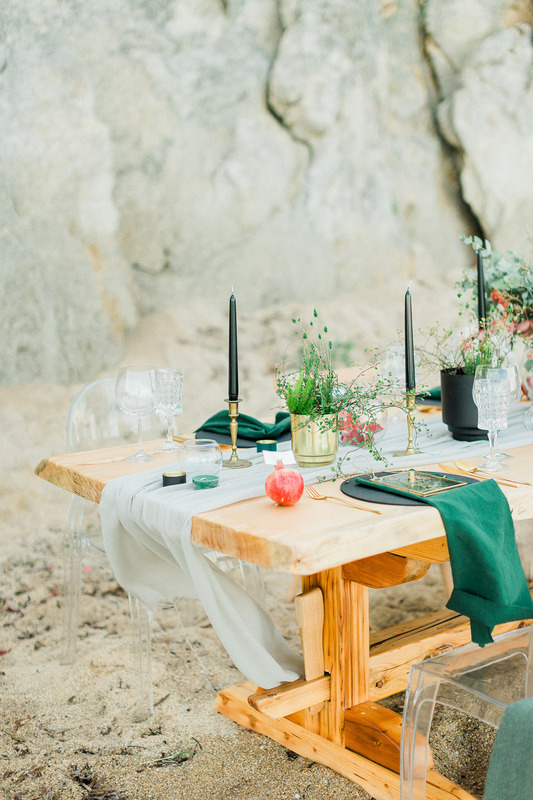 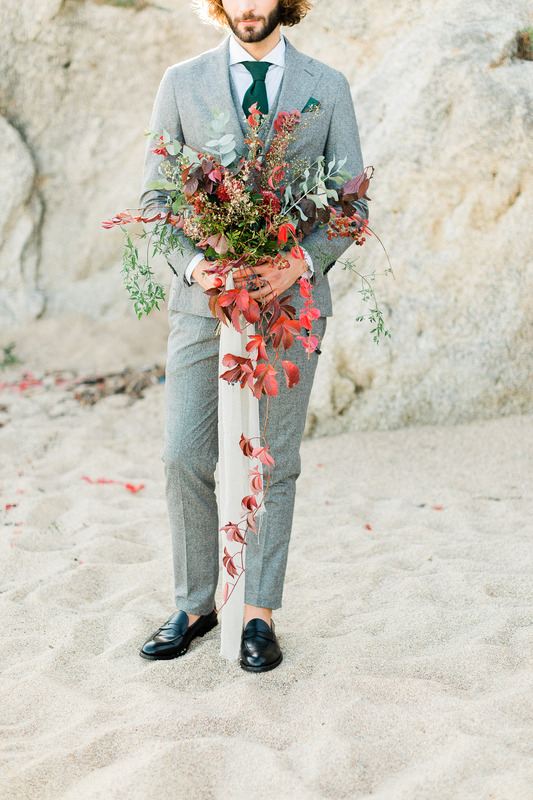 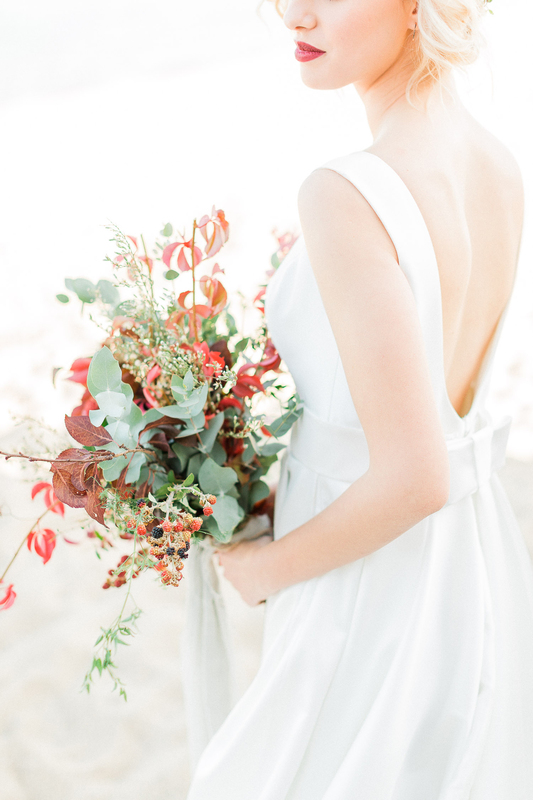 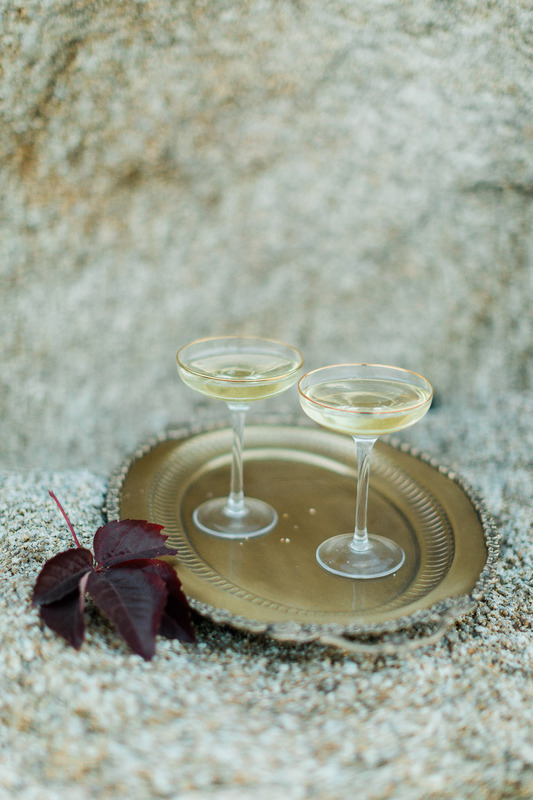 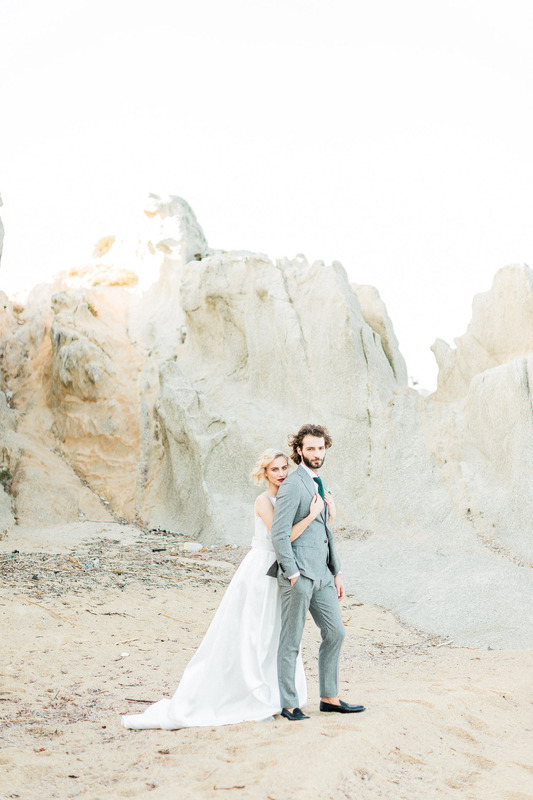 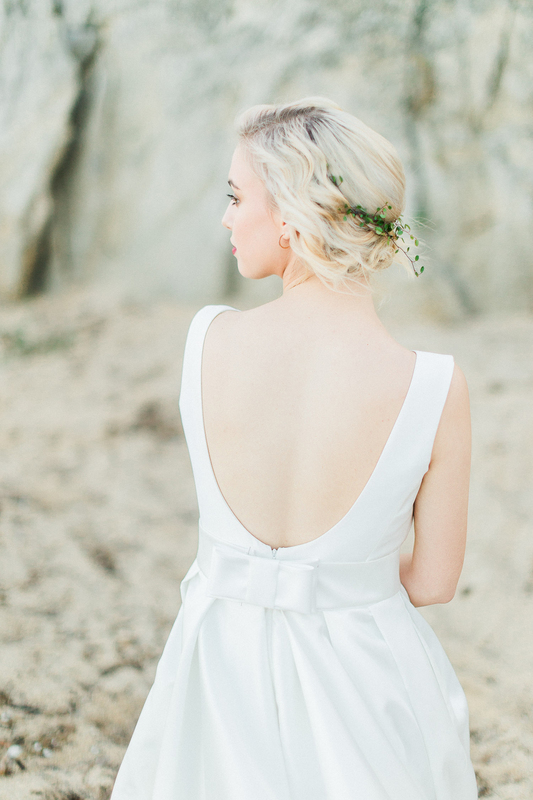 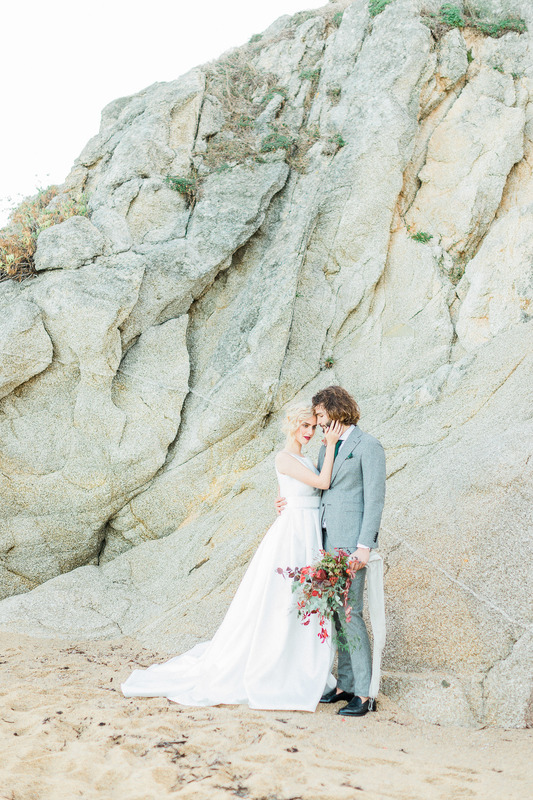 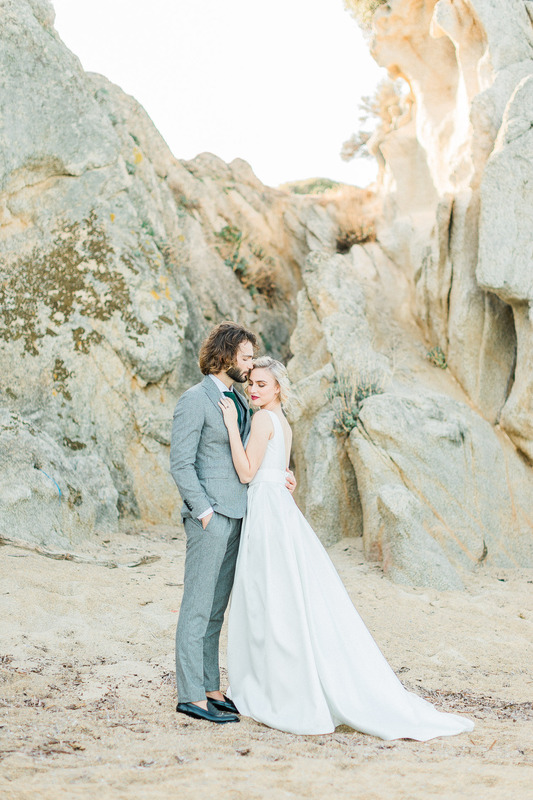 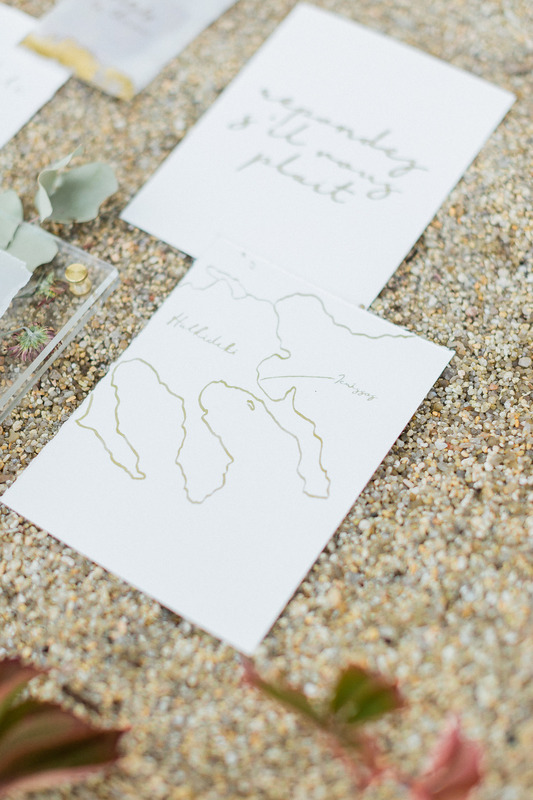 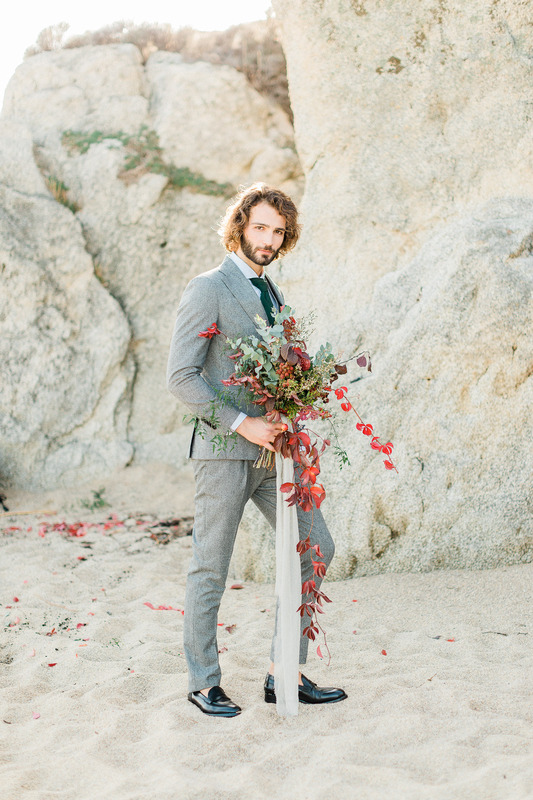 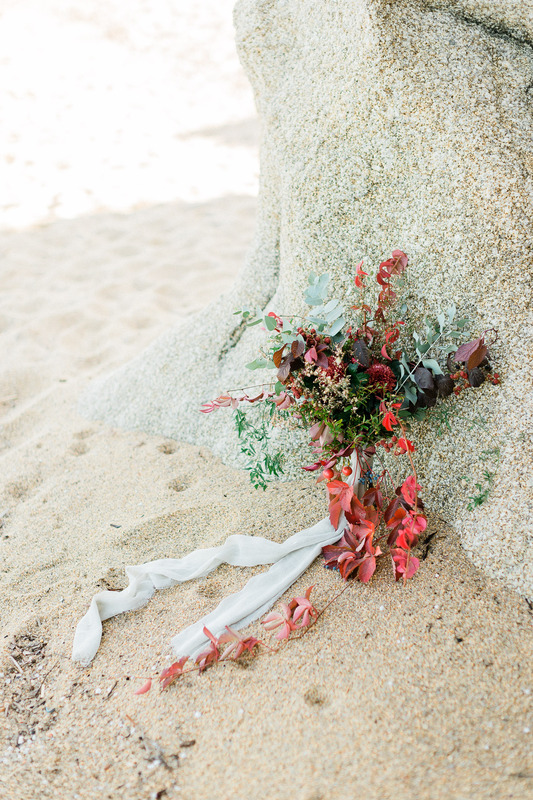 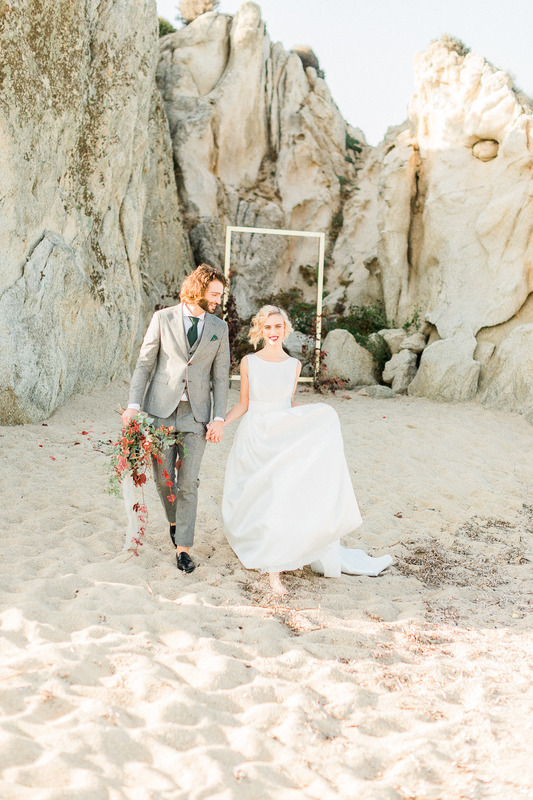 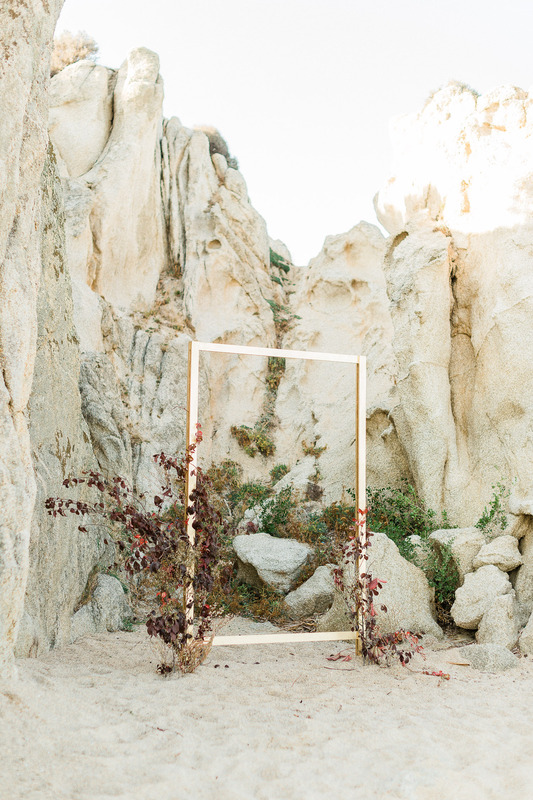 The rocky landscape of Ierisso’s beach was an ideal frame for this destination wedding editorial. 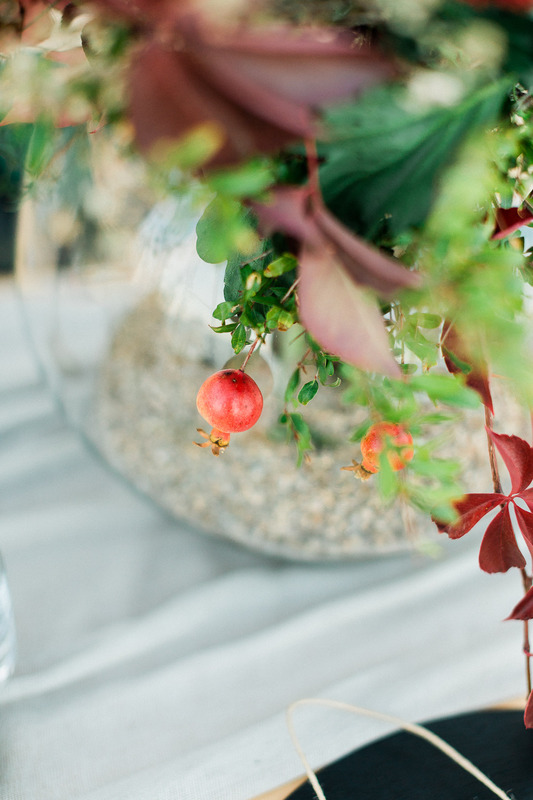 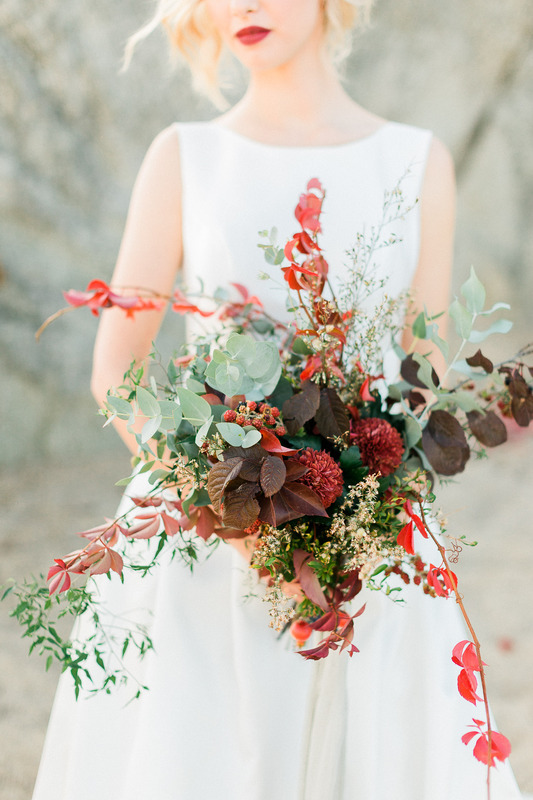 Hues of deep reds, such as burgundy and maroon, paired with dark greens, compose an elegant color palette, deriving straight out of the hands of the bursting beauty of the autumnal nature. 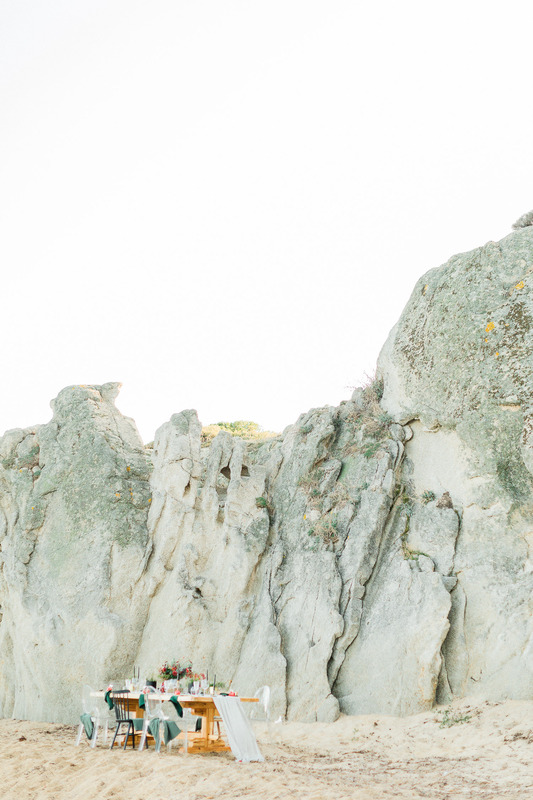 Nothing can ever prepare someone for the magnificent October’s light in Greece. 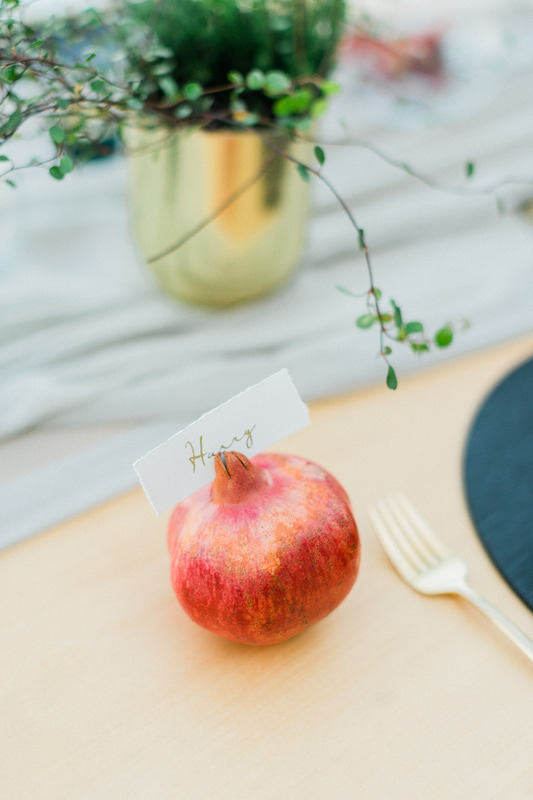 Fondo Special Occasions planned and synthesised simple and minimal aesthetics with modernity to create all stationary pieces. 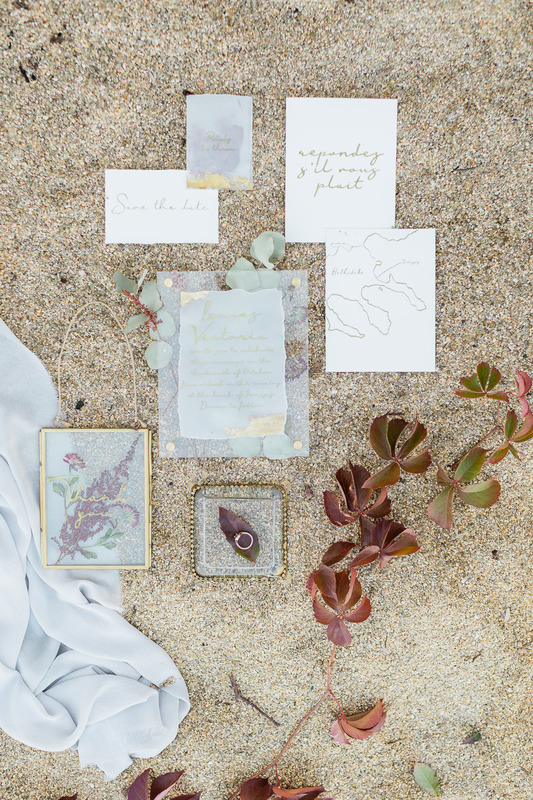 Pressed flower books, the ones that make us reminisce childhood moments of flower-picking, inspired the them with their nostalgic innocence and gentleness. 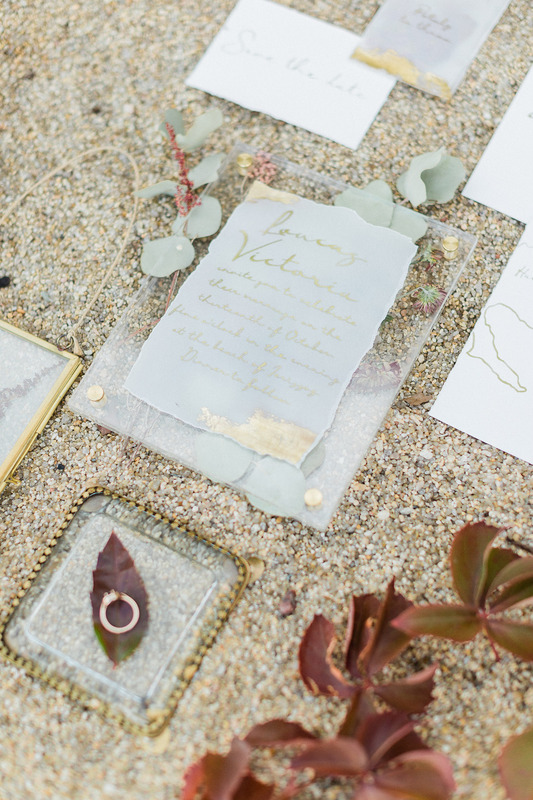 So, a gorgeous golden calligraphy invitation on plexiglass and white paper was created with botanicals inside. 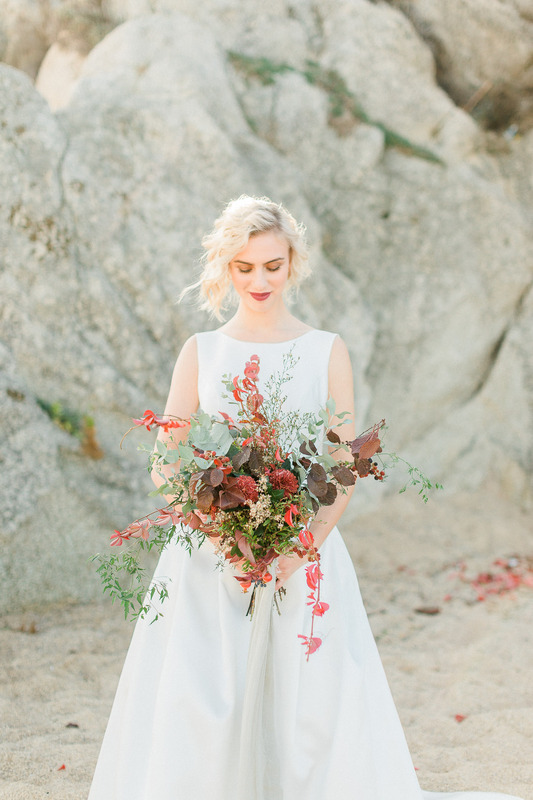 As if a second spring, when every leaf is a flower, autumn in Greece births the prefect lush florals. 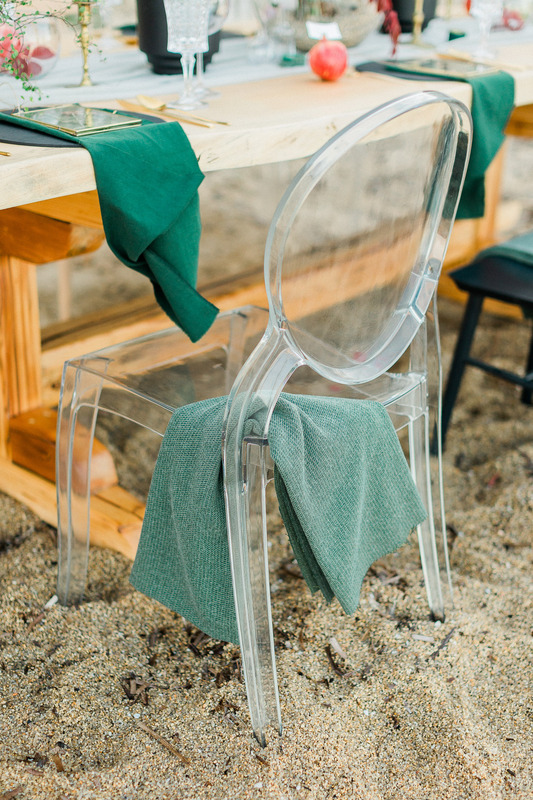 Hand-picked one by one on the way to the beach of Ierissos, they add an untamed boldness to the nostalgic, romantic touches. 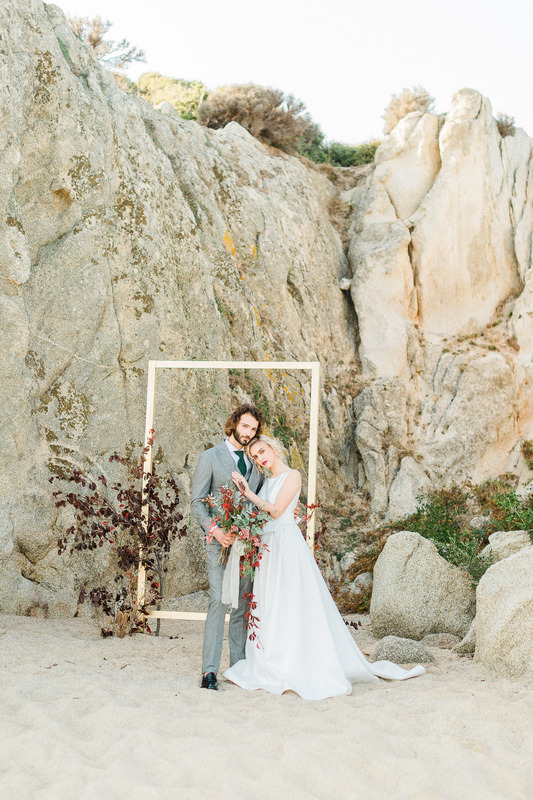 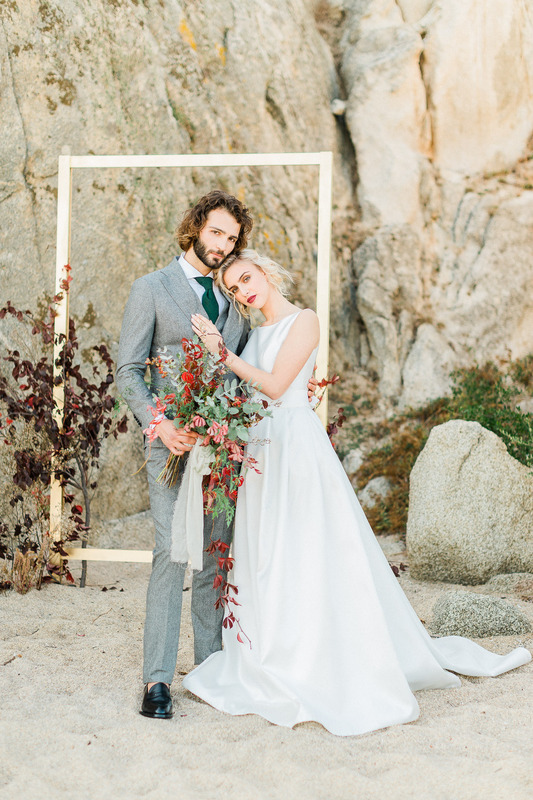 A gold backdrop entangled with burgundy branches in contrast with the grandeur of the neutrals of the rocky beachside utilised as a great frame for the couple’s ethereal pictures. 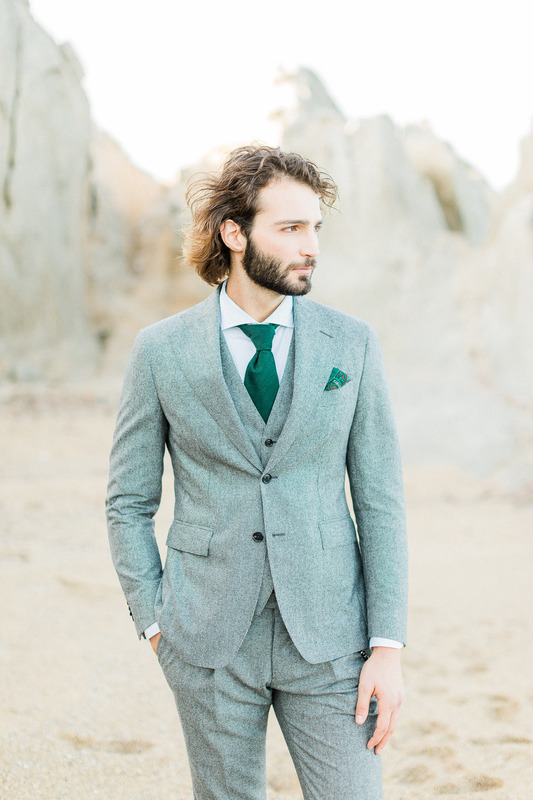 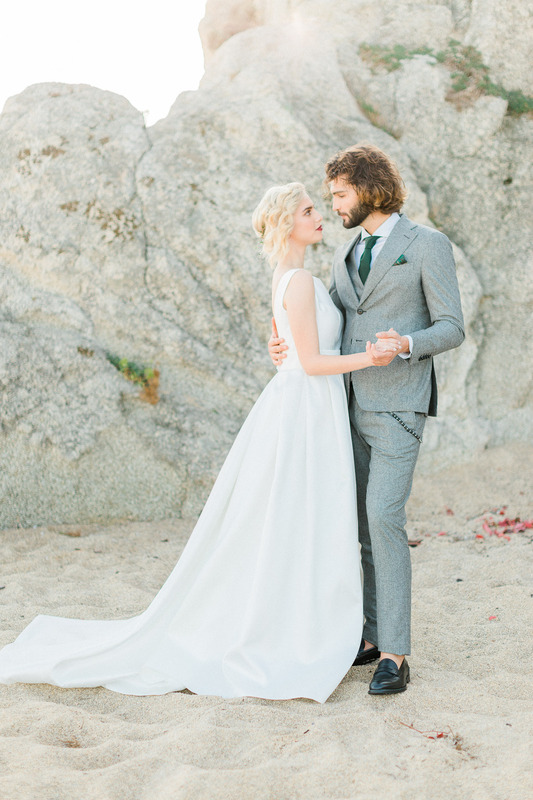 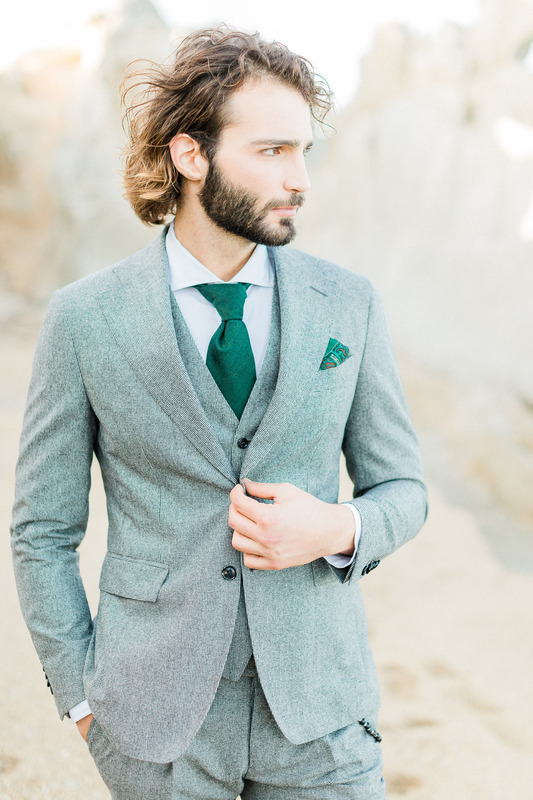 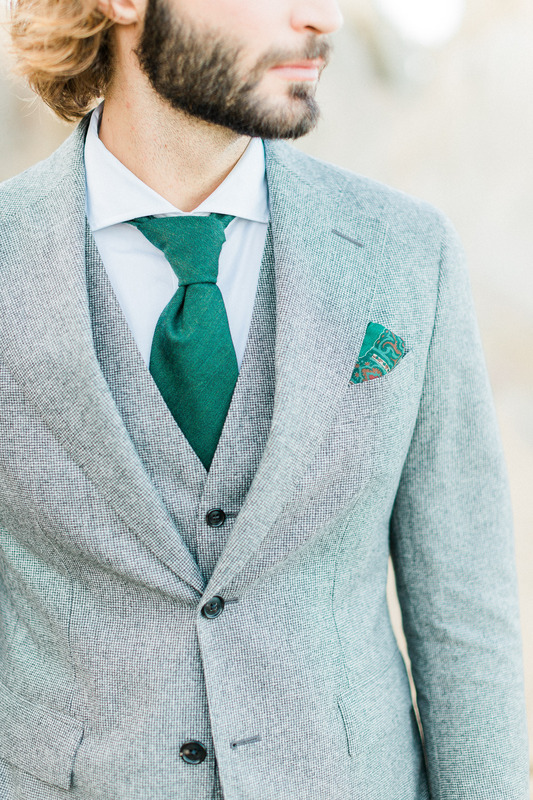 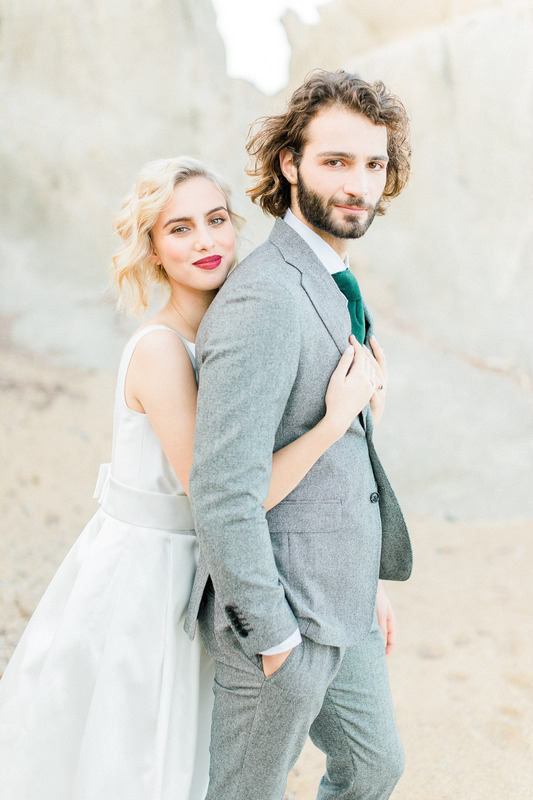 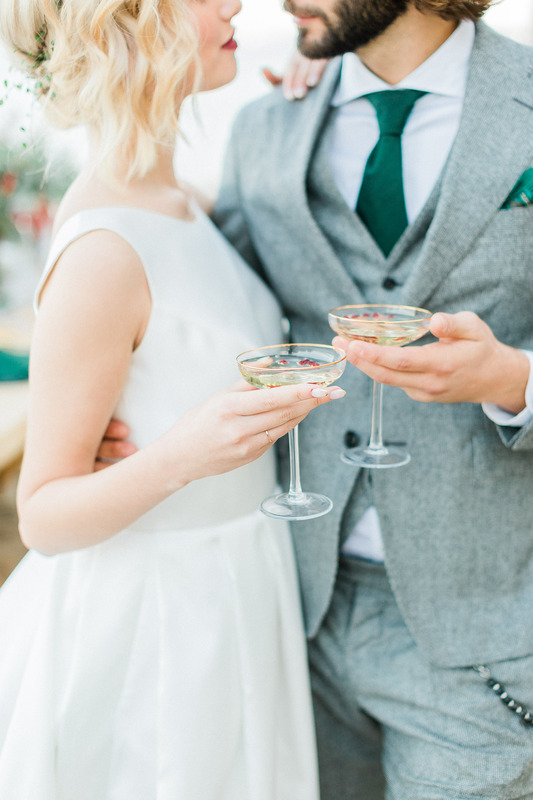 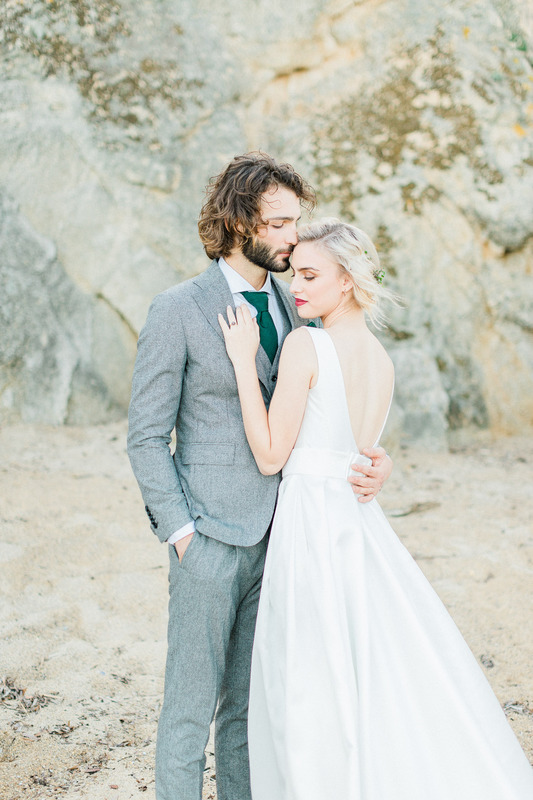 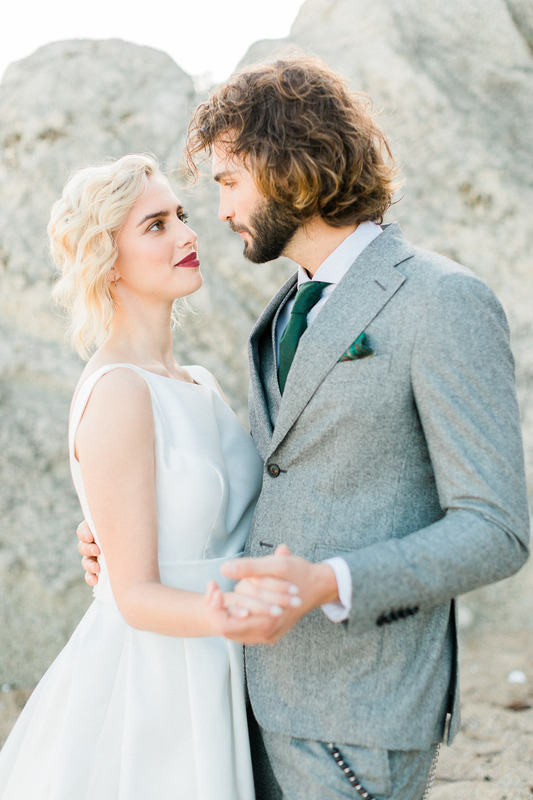 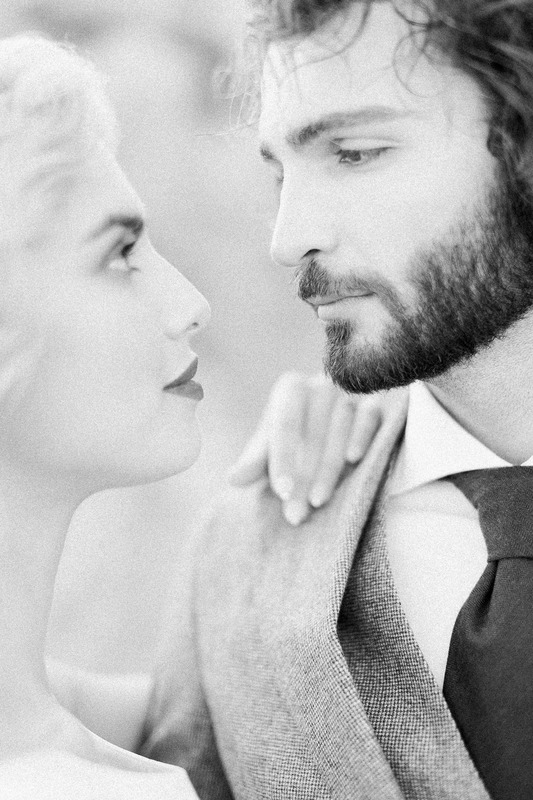 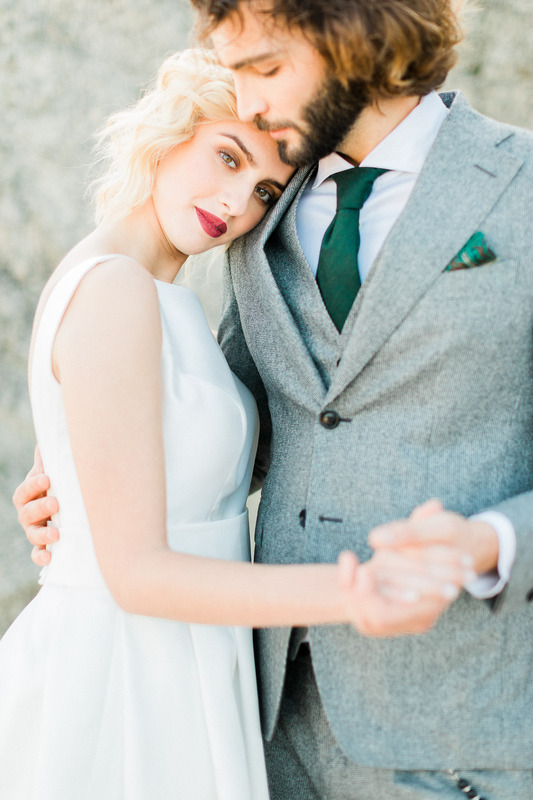 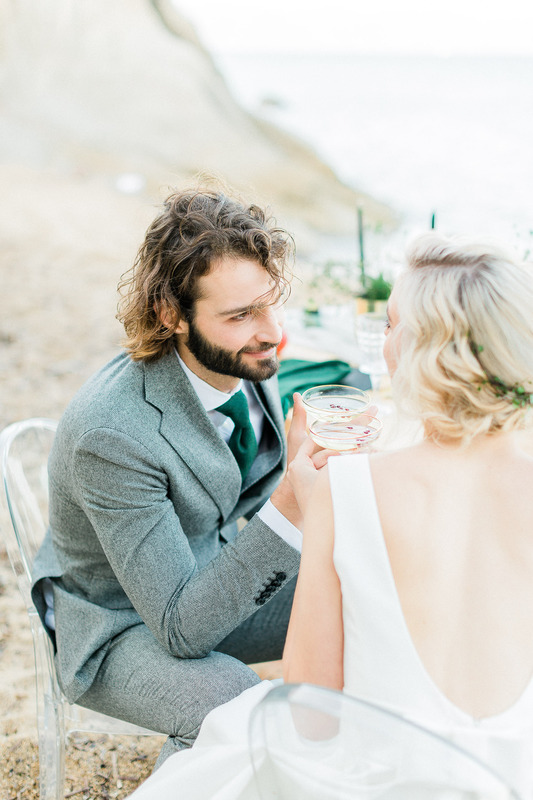 Rafaela’s white, minimal wedding gown with an open back by Regina complimented perfectly Dimitri’s attire in grey with dark green elements by Tailor Italian Wear. 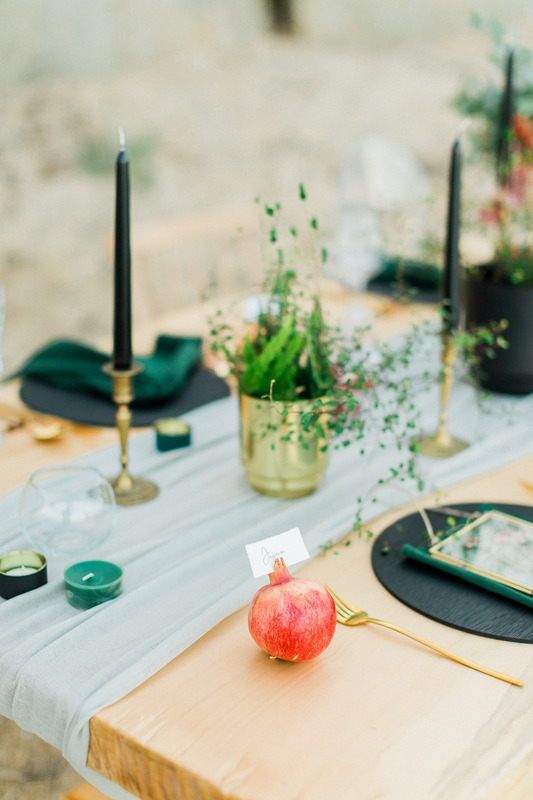 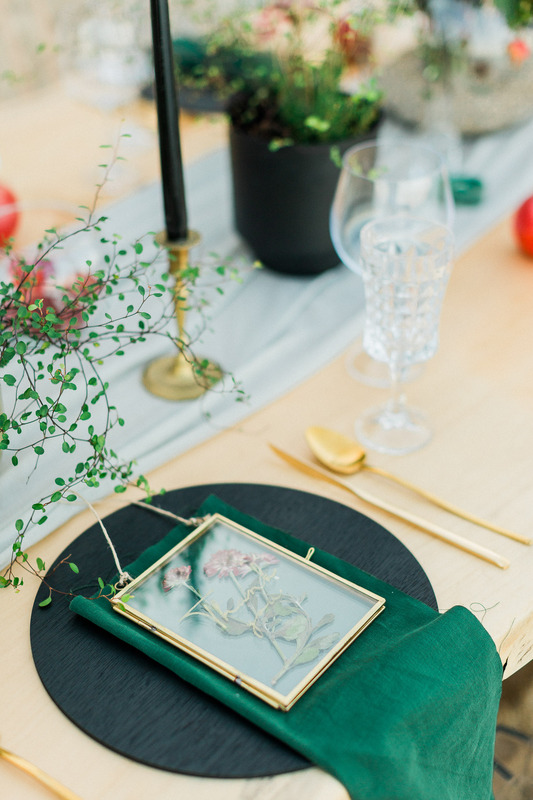 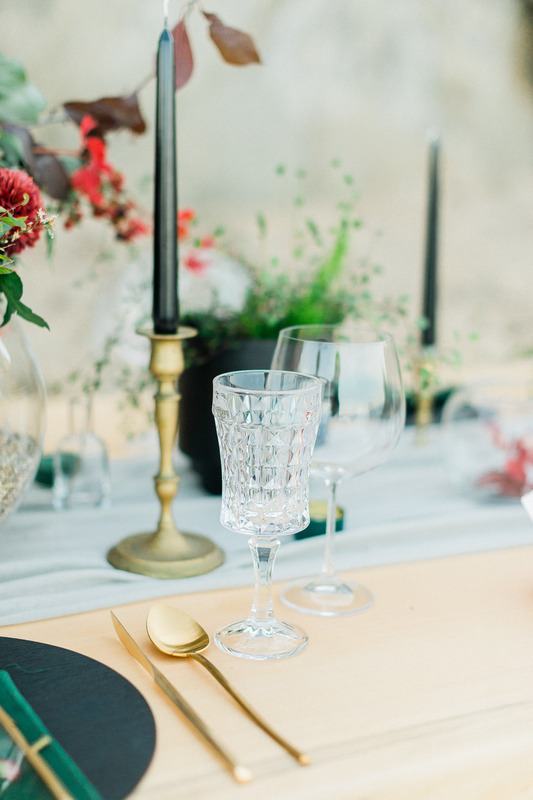 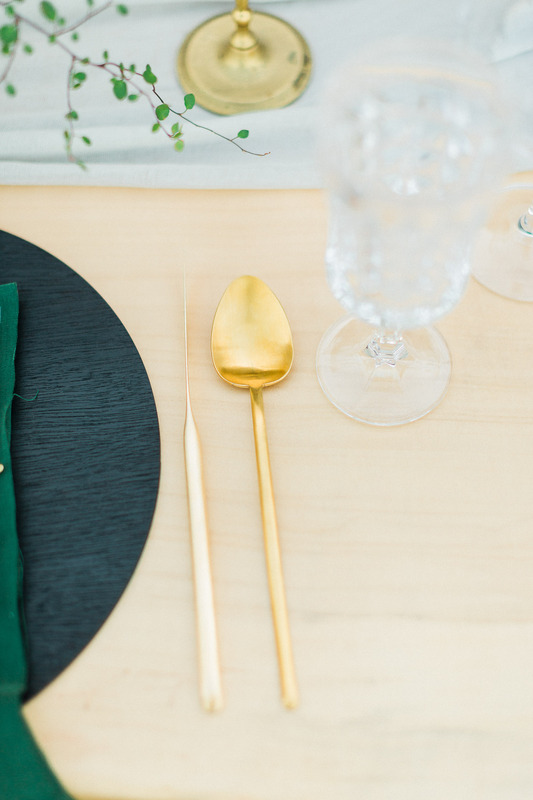 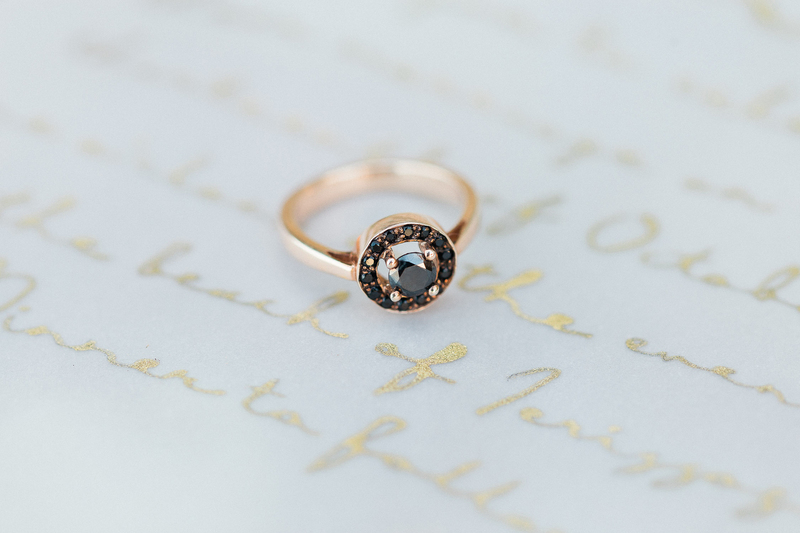 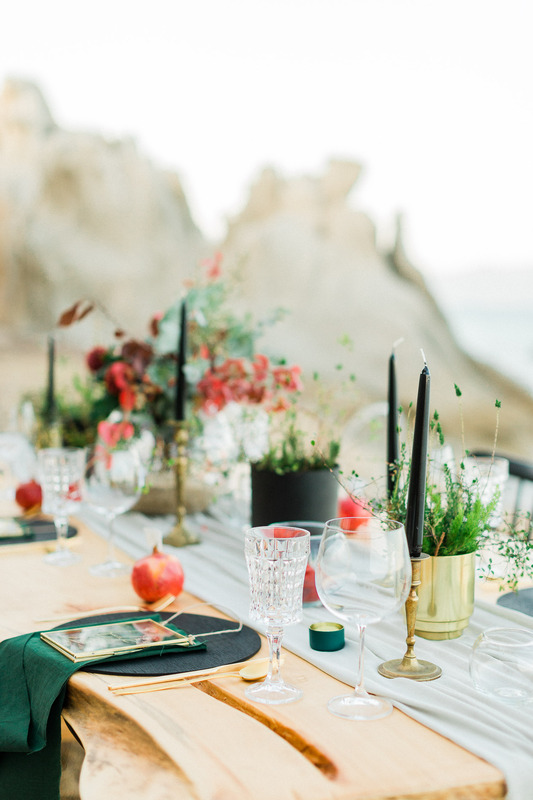 Crystal glassware, dark green and grey details and volumes of black, give prominence to the golden cutlery, bronze candle holders and wedding favors. 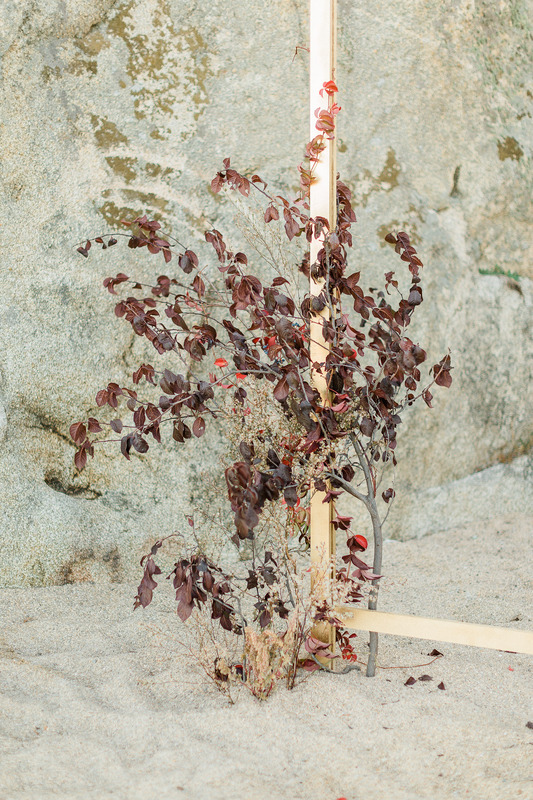 All in harmony, they composed the splendid look of the wooden reception table by WoodIdea-Nikos Lyssas. 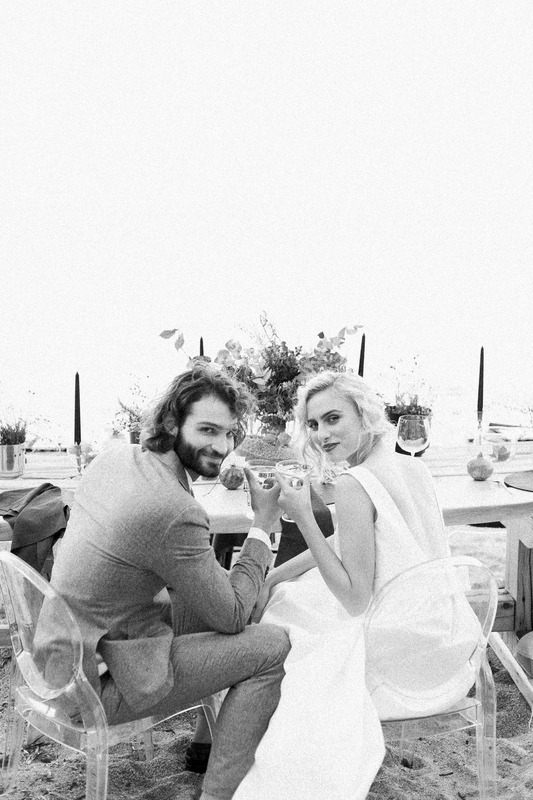 © 2019 Aristotelis Fakiolas / Greece Wedding Photographer / Fine Art Wedding Photographer / Destination Weddings / Santorini / Mykonos / Corfu / Greek Islands / Europe / Worldwide / All rights reserved.